Watch full Rwby Season 6 Episode 8 full HD online. 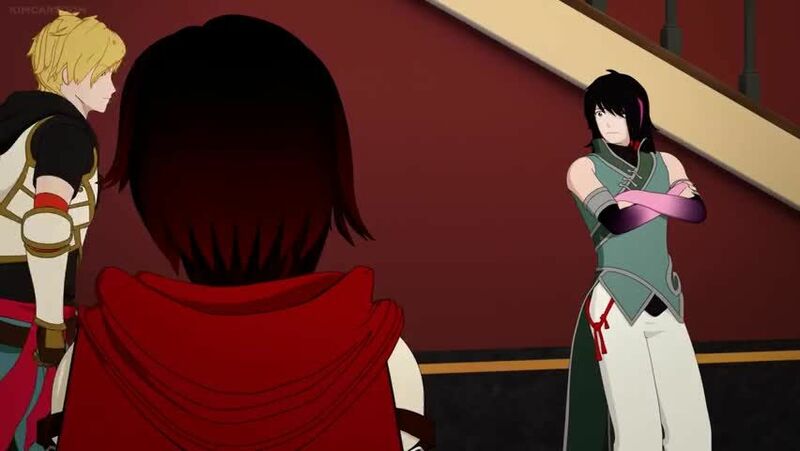 Cartoon video Rwby Episode 74 online for free in HD. Caroline Cordobin, the officer in charge of Argus and a grudge of Maria’s, denies anyone else but Weiss from entering Atlas. While Qrow drinks his frustrations away, Team RWBY tells Jaune’s group what they learned from the Relic, disheartening them. Maria then reveals to Ruby that silver-eyed warriors hid themselves to avoid Salem, and that Jinn’s vision showed their power came from the God of Light. The rest of the team then finds Oscar missing.